Smoking your meat is probably one of the best ways of preparing food during the warm months of the year, when you and your family or friends can be outdoors enjoying the sun and drinking a glass of lemonade. However even when the months are cooler there are still those who don’t mind catching a bit of a chilly breeze as they smoke some of their favorite meats to enjoy later as a hearty meal. This is only a dream to those who don’t yet own the best electric smoker or who are timid to purchase a smoker because they don’t think they will use it properly. The good news is that there are so many different smokers on the market available for those who are just starting out as well as for those who are quite experienced with smoking their meat. 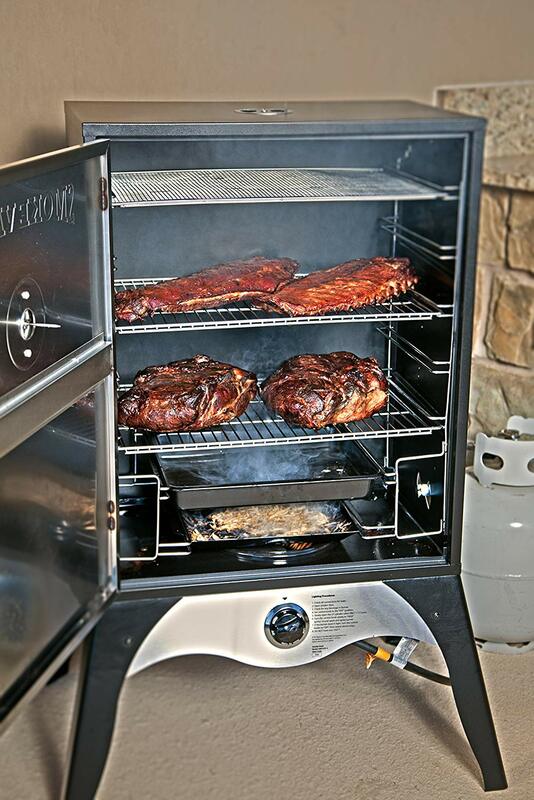 Let’s take a closer look at a high quality smoker available on the market for preparing your large portions of meat. 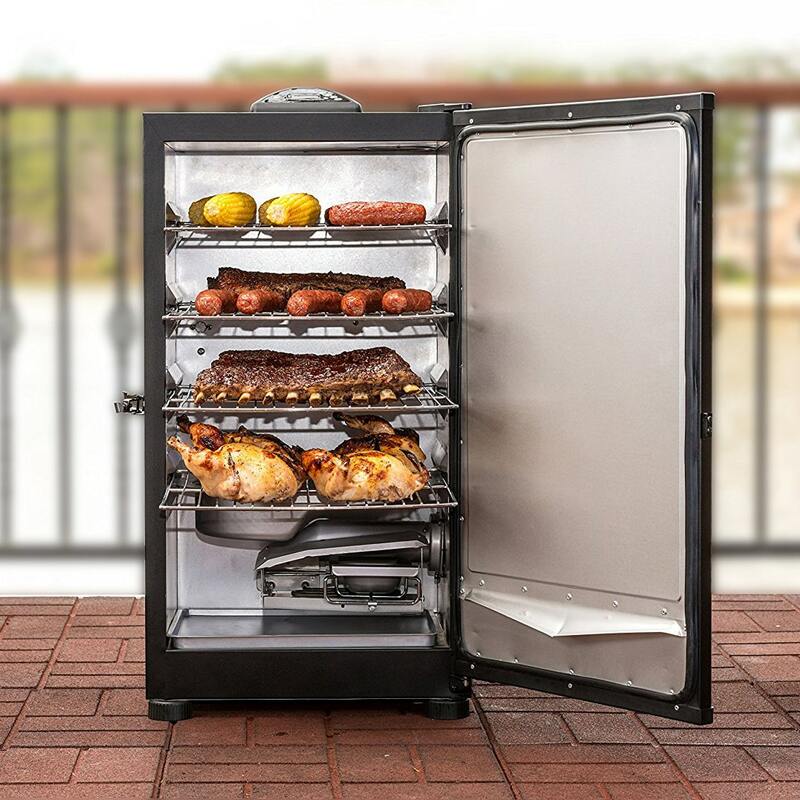 Introducing the Camp Chef Vault Extra Large 24 inch smoker. 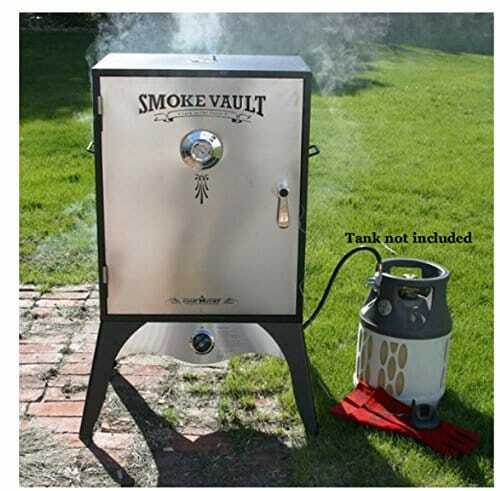 The smoker gets its ‘Vault’ part of its name from looking just like a stainless steel vault from the outside. It features quite the fancy, upscale look for those who care a bit more about the appearance of their smoker. While looks aren’t everything, this smoker sure does deliver high grade results when it comes to preparing your meat the way you like it. The brand Camp Chef is also well-known and popular after building grills, barbeque supplies, and other outdoor quality products for over 25 years. 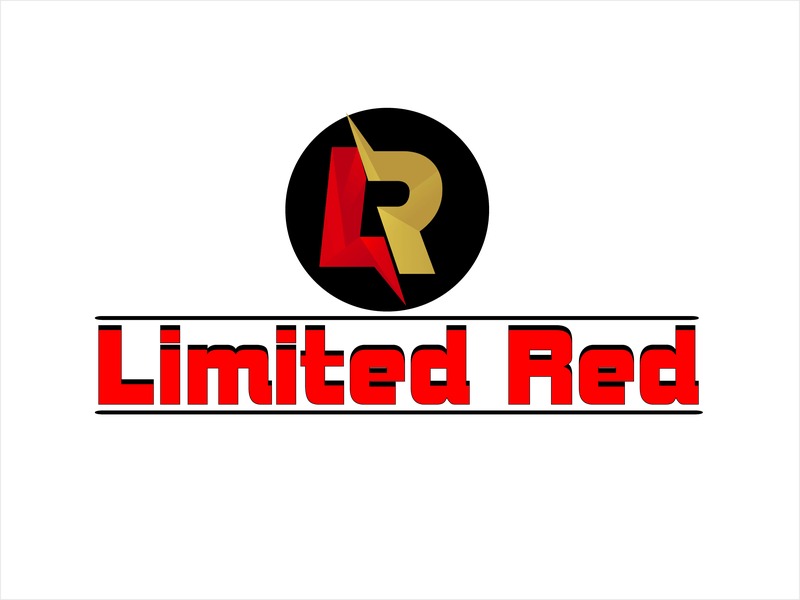 They have most definitely gained a positive reputation from their consumers of building high quality grilling products. With that being said, this may be a product that you might want to take into consideration of owning as your personal smoker. This 24 inch Camp Chef Smoker is just the right size to cook all of your savory meats in it for your family and guests. 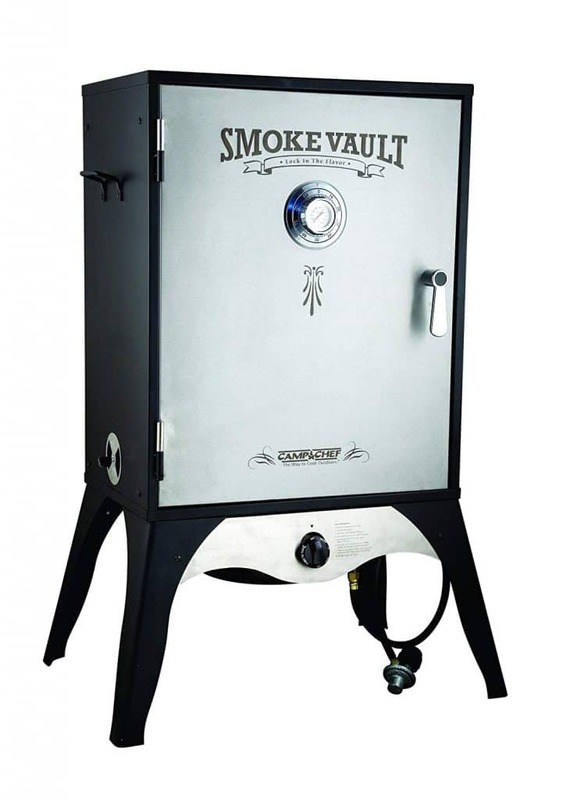 So if you like hosting parties or gatherings with good food then this vault-like smoker is just the tool needed to satisfy your guests’ hunger. Not to mention that with the features involved with this smoker you get your meat cooked nice and slowly, which allows for a nice, tender, juicy finish. Included with this smoker is a heavy gauge steel wood tray where you place your water pan and wood that gives your meat that wonderfully unique smoke flavor. Use any type of wood chips you’d like that are appropriate for smoking. What about dessert? 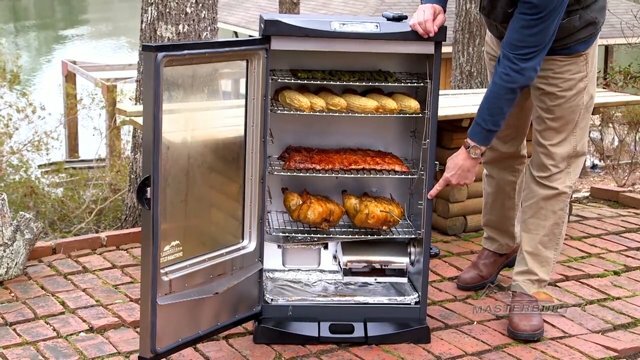 You can even cook pies inside this smoker. The heat dials are present right at the bottom front of the smoker for easy access to control the temperature on your food, as well as the temperature gauge that is on the front vault door of the smoker. You are able to adjust the temperature of your smoker from 160F-400F; these are the range choice options that you have. When you open the packaging to your new Extra Large Camp Chef Smoker, you will find there are cooking tips included to give you a head start for preparing your first smoked meal. 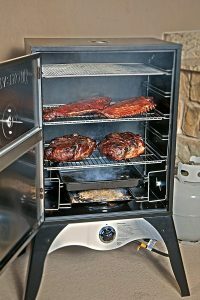 As you can see you have everything that you need for this stainless steel smoker to operate correctly and what a plus that the tips and recipes are included for those of you who don’t know where to begin. There are also plenty of ideas and tips that are available online for people who are just starting out with using a stainless steel smoke vault. 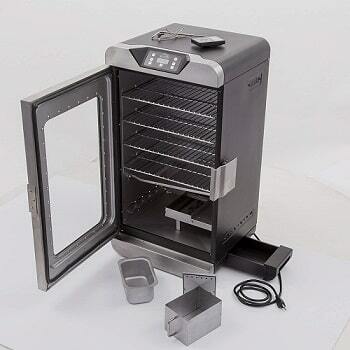 Not to worry, once you get going, this type of smoker is quite easy to use. 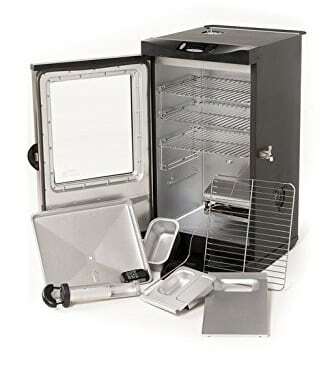 In addition to the videos that you will find online you can also read reviews from those who own this smoker already because they will also offer some good advice and tips on using the product.